Porta Potty Rental Spartanburg SC | Bragg Waste Services Inc.
Bragg Waste Services provides exceptional service for porta potty rental Spartanburg, SC and all of Upstate South Carolina including Greenville, Pickens, Anderson, Oconee, Cherokee, Laurens, and Union counties. We offer portable toilet rentals with products catered to your special event ensuring your complete satisfaction with well-maintained, clean and high-quality portable restrooms. 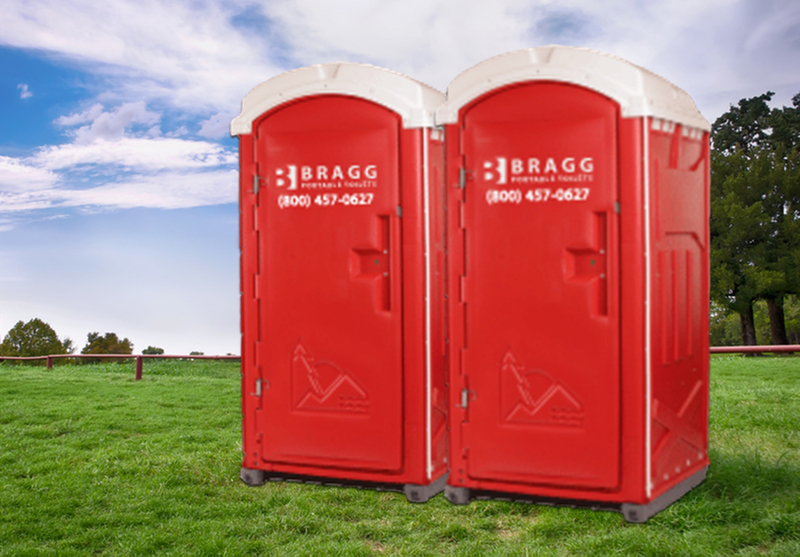 Bragg Waste Services has been consistently providing clean porta potty rentals for Spartanburg, SC construction projects, community events and wedding receptions with extraordinary service at the best available cost. Call on Bragg Waste when you need high-quality service you can depend upon. Your satisfaction and comfort are our main concerns. We are committed to providing customers with the cleanest, most affordable restroom trailers and portable toilets available in Spartanburg, SC. We offer licensed and insured portable restrooms, trailers and porta potties for various requirements. Construction Job Sites and Projects: We provide porta potties and portable restroom solutions that are clean and code compliant for the total comfort of construction employees, contractors, and visitors. Special Events Parties and Wedding Receptions: Make sure that your guests are comfortable at your special event with sanitary and clean restroom solutions which include our luxury restroom trailers and porta potty rentals geared towards your event. Community Events: We supply portable restroom solutions to community events in Spartanburg, SC such as holiday festivals and charity events. We provide sanitary, clean portable restroom solutions which include hand washing stations with portable sinks, and everything you need for guest comfort in portable restrooms. Bragg Waste Services has provided consistently reliable, high-quality portable restroom service throughout the state of South Carolina for more than 35 years. We have the resources and the experience to provide portable restroom solutions with safe, clean and sanitary porta potty rentals Spartanburg, SC and the Upstate South Carolina. Contact us today to learn more about our clean, cost-effective porta potty rentals.